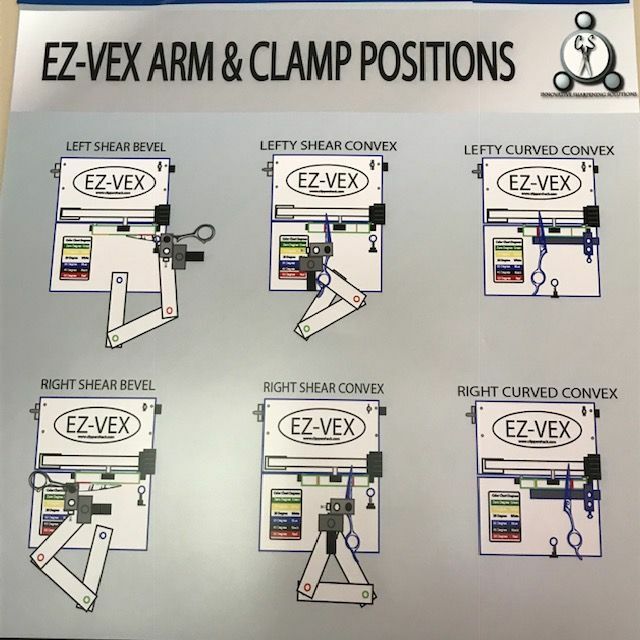 The Standard tool post, the Standard round clamp and the arm systems are also included in this package. The Power Supply - which runs on both USA 110v and the European 220v ( European Customers may have to purchase the correct adapter for their country) is included as well. The Ez-Vex runs on a 12v motor with the power supply mentioned above. So this unit can either be taken in a salon shop OR you can plug it into your Van's outlet. 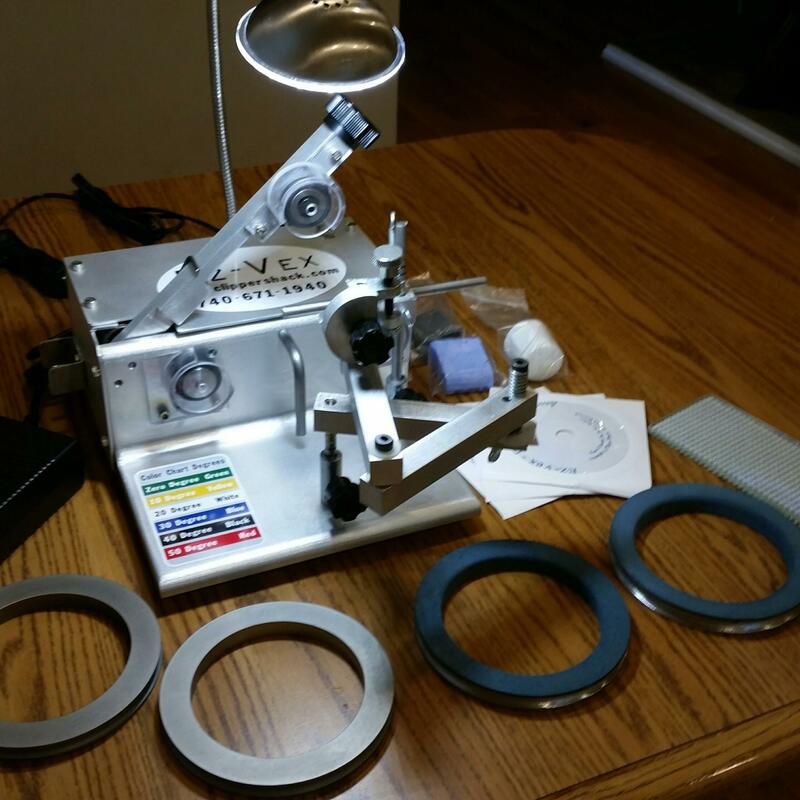 A Bright attractive LED light is also included on the Ez-Vex, 3 Instructional DVD's, one year warranty, and Free Training with direct purchase from us at our Ohio facility are included. Our Competitors Do not offer FREE Hands on Training! ** Just ask them if Training on their machines are FREE and also if their Machines Come with Full Instructional DVD's with a direct purchase. 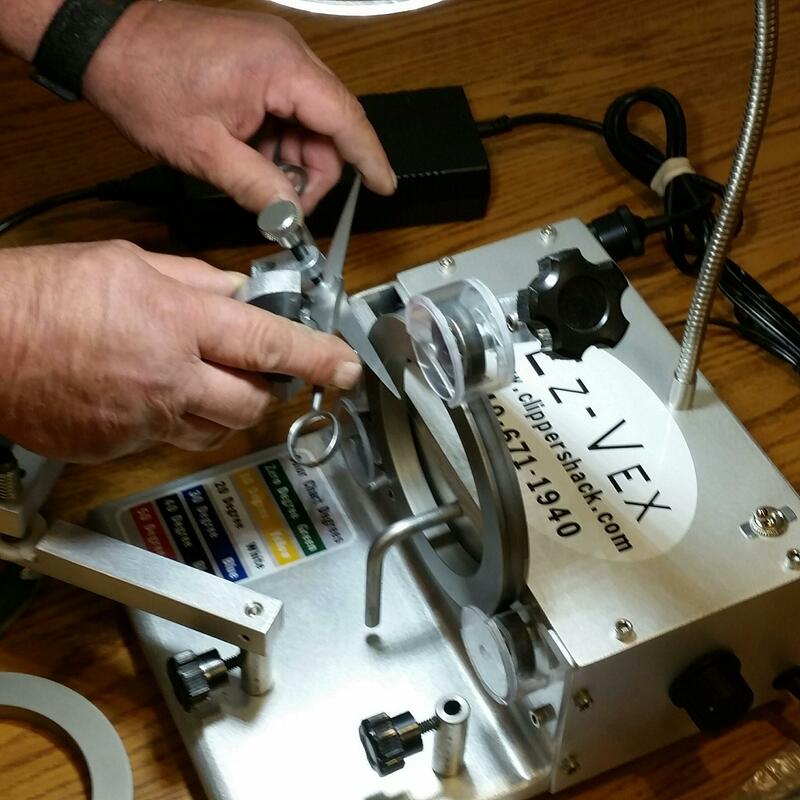 The Ez-Vex was Designed to give more choices for the Next Generation of Sharpeners. 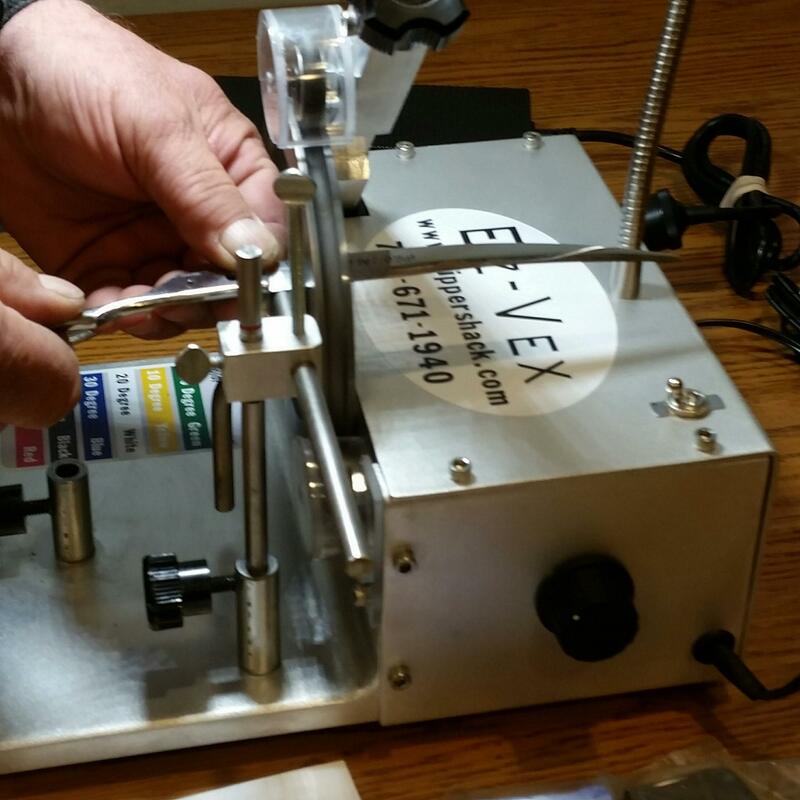 The New Generation of sharpeners wants an innovational sharpening machine that can address the issues of Easy Convexing while Keeping the Integrity of the shear and only removing as little metal as needed. It needs to be able to sharpen the titanium color coated shears without damaging the finish of the shear and it needs to be able to sharpen the Long Curved Convex Shears that the other methods are unable to do with ease. 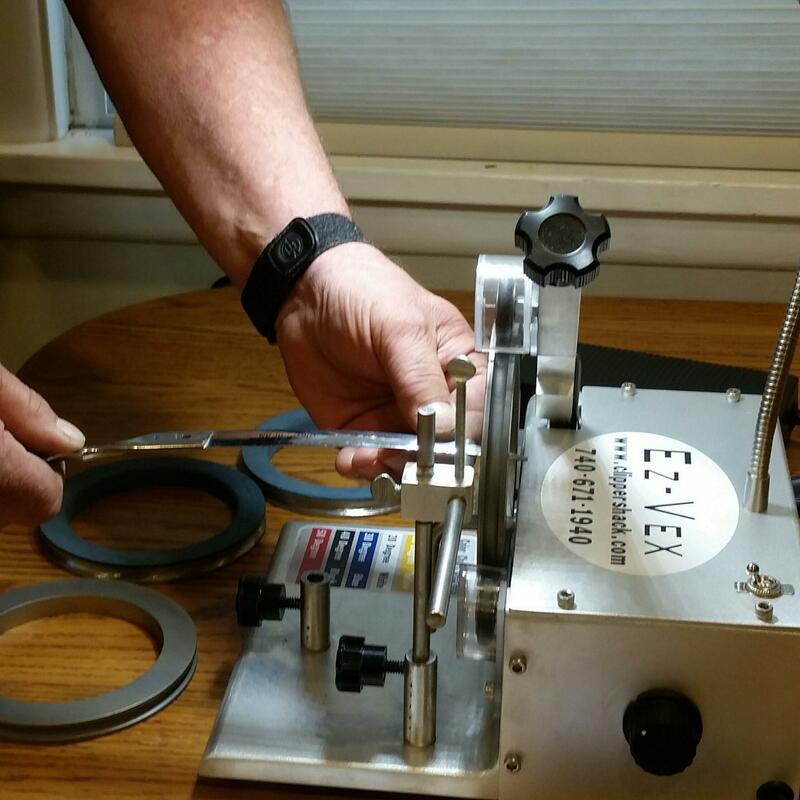 We Now offer the new solid wheel and reconvexing clamp you can have the best of two worlds,, sharpening from inside the wheel giving you a TRUE Convex edge with ease, and now like a flat hone you can address the cosmetic work on the flat solid wheel using the optional re-convexing clamp. Many of our Competitors charge $500 to $750 per day of training. If you want your business to grow, take Training on the machine you choose to purchase. Keep in mind your Stylist and Groomers all took Training for their Profession.